A beginning artist can easily be overwhelmed by the variety and cost of art supplies. It is best to start simply and add additional tools as you go along. Students can begin their journey into location drawing with two simple items, paper and pencil. A standard pencil, (used to take tests in school) is a 2H. The “H” stands for HARD. The higher the number, the harder the graphite or lead. Art pencils come in a variety of both hard (H) and soft (B). Just like the “H” variety, the higher number “B,” the softer the graphite or lead. My personal favorite is a 4B. Softer pencils provide a greater range of value (light and dark) and can be used to at the point for a graphic line or on the side for subtle shading. Softer pencils also tend to smear more easily which can be both an advantage and a disadvantage depending on your intention. Experiment. Then listen to your teacher and get a 4B. For many years, I worked as a waitress and I used to sneakily sketch my customers on cocktail napkins. My round service tray hid my activity and I never got caught. I used a regular pen and loved how it sunk into the soft paper. Try it. I had hundreds of these little drawings and they were spontaneous and fresh. Get into the habit of drawing wherever and whenever you can. Don’t let “art” materials get in the way. 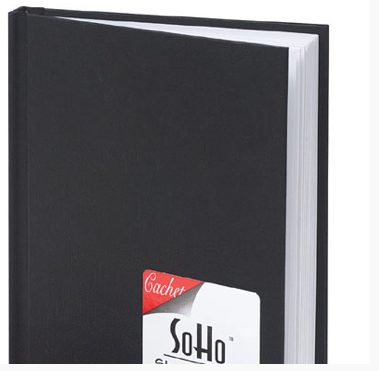 Students can draw on any sort of paper but most prefer a sketchbook of some sort. I recommend getting a size you feel most comfortable with and this may take a little experimenting. 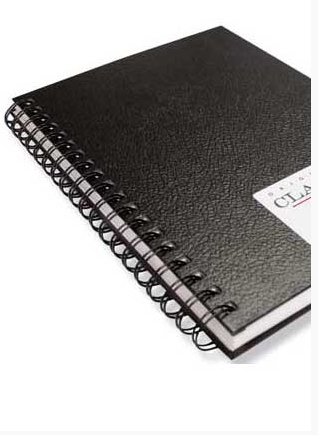 I always choose a spiral binding as it allows the book to open flat and I can easily tear out the drawings. Some prefer a book-bound type. These are usually kept intact and are a little fancier. 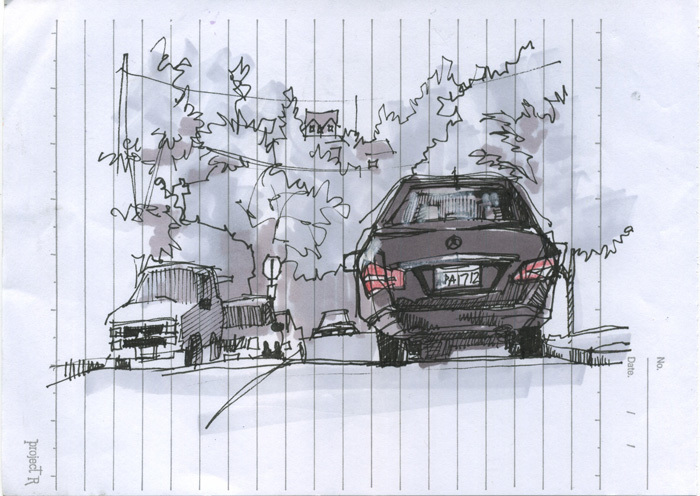 Moleskin brand is big with the Urban Sketcher crowd. Up to you! There are an enormous variety of papers out there. To get started, just decide if you prefer something smooth or with a little “tooth”or texture. Later (in advanced materials) we will discuss options for using toned paper and heavier weight suitable for water soluble media, etc. Pencil sharpener: They’re not too pricey. Invest in a decent one. Erasers: I consider them optional and should be used as little as possible. Other: small stool, Handi-wipes, sunglasses (so you don’t get caught so easily), etc. As you get hooked on Location Drawing you may want to get multiple sizes for every possible situation. I have tiny sketchbooks that fit in my back pocket or small purse, medium size for my backpack, bigger for the car, etc. You get the idea. This also applies to drawing supplies. I have a “mini-kit” containing the absolute essentials, medium kits for a walking trip, bigger for a longer excursions, etc.